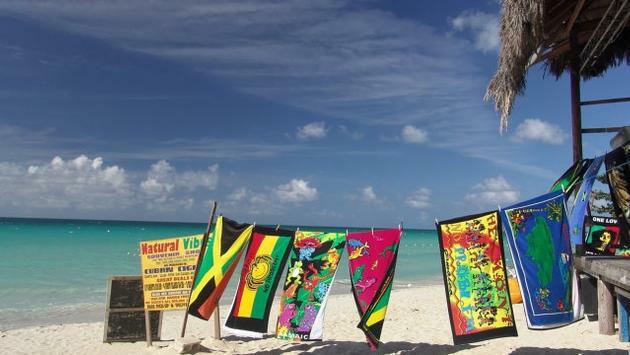 Jamaica has long been considered an ideal spot for a tropical spring break. The island’s crystal-clear waters, rolling hills, lush greenery and endless hospitality bring tourists back again and again. With so many resorts to choose from (including all-inclusive resorts), spring breakers also have an endless array of vacation options ranging from budget family to opulent luxury. But, what if you didn’t actually have to pay for the bulk of your Jamaican spring break getaway? With the right travel credit cards, an almost-free trip is more than possible—it’s easy. While there are many airline loyalty programs that let you book flights to Jamaica, some of your options are more optimal than others. With Southwest Airlines, for example, you can fly to Jamaica for less than 10,000 miles per leg at certain times and from certain departure cities. Another good option is JetBlue. This airline frequently offers round-trip flights to Montego Bay from departure cities like New York and Chicago for less than 20,000 miles round trip. Both of these airlines offer their own co-branded credit cards, but they are also partners with Chase Ultimate Rewards. So, if you want to rack up miles good for either of these options, getting a card like the Chase Sapphire Preferred, Chase Sapphire Reserve or Ink Business Preferred Credit Card is your best bet. Of course, you can also fly to Jamaica on British Airways, United MileagePlus, Delta or Air France/Flying Blue. Your best bet is picking up a co-branded airline credit card or figuring out which rewards programs let you transfer points to your favorite airline. There are numerous hotels you can book in Jamaica with points gleaned from hotel credit cards. These range from budget to luxury, and the amount of points you’ll need to book varies as well. If you have the Hyatt Credit Card from Chase (or a Chase Ultimate Rewards card that lets you transfer points), for example, you can book either the Hyatt Ziva Rose Hall or the Hyatt Zilara adults-only resort for 25,000 points each. These properties are all-inclusive, meaning all your food, drink and entertainment is included. Considering you can pay entirely with points, these offer an excellent value. If you have the IHG Rewards Club Select Credit Card, on the other hand, you can book a stay at the Holiday Inn Resort Jamaica in Montego Bay for just 40,000 points per night. This property is also all-inclusive, and kids under 12 stay free with adults. If you have a stash of Hilton Honors points instead, there are several great hotels to consider: Options include the Jewel Paradise Cove Resort & Spa in Runaway Bay, which starts at around 51,000 points per night; Jewel Dunn’s River Beach Resort & Spa in Ochos Rios, which also starts at around 51,000 points per night; and Hilton Rose Hall Resort & Spa, which will set you back at least 60,000 points per night. All of these properties are all-inclusive, which means you won’t have to pay for food, drink or fun once you get there.